Green Mansions Estates offers the best tennis experience in the Adirondack Mountains! Ten, un-crowded, Har-Tru courts. There is nothing like a spring-fed mountain lake for relief from summer's heat. Take a free paddleboat, canoe or rowboat for excellent pike and bass fishing, or make a quiet exploration of the wildlife filled coves and inlets. No motorized watercraft are permitted on Tripp Lake. Adjacent to Green Mansions Estates is the Green Mansions Golf Club. A 9-hole course with driving range and 3,000 yards of rolling greens in shaded woodlands offering the perfect Adirondack golfing experience. Casual dining, take-out menu and cocktails available on premises. Other courses are within a 15-60 minute drive. Fine and casual dining and local nightlife can be found anywhere these days and Green Mansions is centrally located to restaurants and clubs for your evening's entertainment. Whether you prefer Family style, Italian, Chinese or Gourmet; dine-in or take-out, they're just a few minutes from your door. How about some shopping? Outlets galore are just 20 minutes away at the Lake George Factory Outlets - Million Dollar Half-Mile. Be sure to check out the Antique's Trail Map with shopping stops throughout the scenic North Country. And there are plenty of wonderful artisan shops with local gifts, furniture and handcrafts to bring home. Don't forget the family attractions in the Adirondacks! Great Escape Fun Park, Waterslide World, Magic Forest, Fort William Henry, Santa's Workshop at the North Pole, Painted Pony Championship Rodeo, Upper Hudson River Railroad, Gore Mountain's bike trails, and exciting White Water rafting. Motor boat rentals and water skiing are just minutes away at Loon Lake Marina. Lake George Steamboat Company offers scenic lake cruises, and enjoy exciting private Adirondack Balloon Flights over the mountains. Warren County Bikeway and Adirondack Mountain Club for biking & hiking enthusiasts. There are plenty of museums and historic sites to visit including the famous Adirondack Museum in Blue Mountain Lake and many more from Saratoga to Ticonderoga. Ask about our full-day and half-day excursion maps. Fall is the most beautiful time in the North Country. Enjoy apple picking, scenic balloon flights, horseback riding or just a lazy drive through the mountains to enjoy the foliage. Breathe in the fresh, pine-scented air that surrounds you, enjoy America's oldest mountains and Upstate New York. When the winter's here, Green Mansions Estates offers cross-country skiing on property, weather permitting. 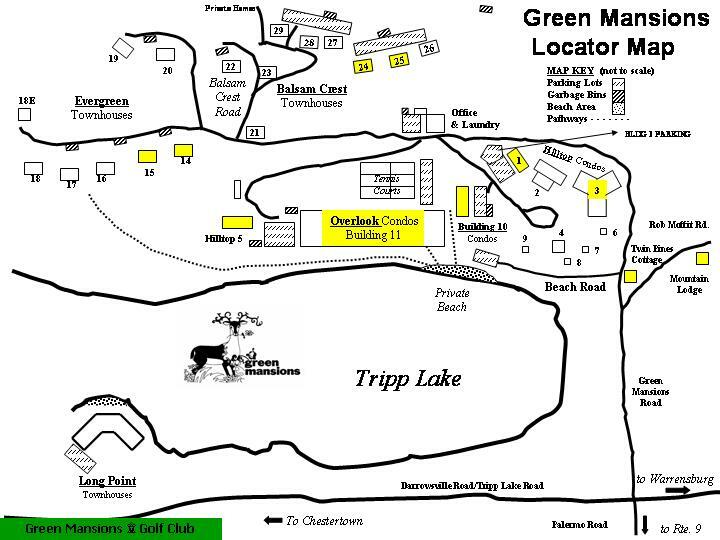 Trek on skis or snowshoes across our own Tripp Lake and up the rolling terrain of the Green Mansions golf course. Take a brisk walk down our own winding roads. Downh ill skiing at Gore Mountain is just minutes away in North Creek. Try West Mountain in Glens Falls for night skiing. Dynamite Hill in Chestertown offers beginners some fun and Whiteface Mountain in Lake Placid offers the ultimate Olympic experience. With a little cooperation from Mother Nature, there's outdoor ice-skating at nearby town recreation centers. Cold weather hay rides and snowy sleigh rides are great fun for children of all ages at Wild West Ranch in Lake George. 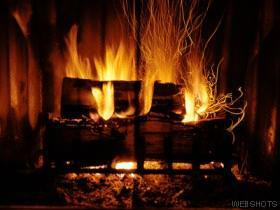 And, if you're not a sports enthusiast, then cuddle up with a good book, a good friend and a warm drink in front of a roaring fire. There's nothing like a lazy winter's day to get away from it all and relax in the private world of Green Mansions. Take a peaceful walk through the woods or along the lake and gaze at a billion stars by night from your own private deck or patio. Dining and shopping are open year-round.